Passionate about everyone eating better! Three Bean KaIe and Turnip Beef Chili. I know you all probably don’t need another chili recipe, but this all day simmered stew was very popular with the girls. The turnips and kale blend in and are inoffensive after all that simmering. They are the two CSA vegetables that tend to languish in the drawer the longest, I needed to use them up. Really the secret I wanted to share was instead of using a chili powder I used ground cumin and unsweetened cocoa, then a touch of liquid smoke. My kids won’t eat anything remotely spicy and I’m quite the opposite. 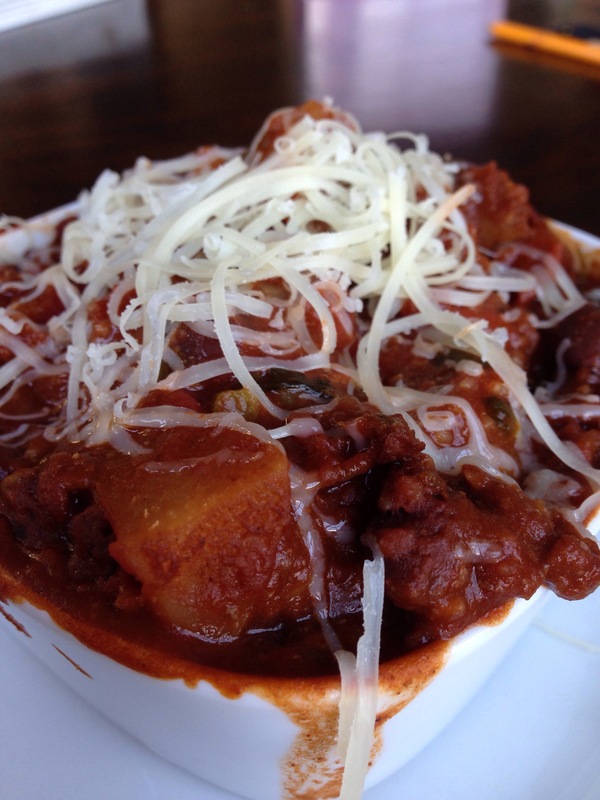 This mole-like spice combo gives it that chili depth of flavor. Grown ups can add hot sauce to taste. I served it over organic barley for a change of pace. This entry was posted in Cooking for Kids, Fall, Local Farms and tagged Chili, Cooking for kids by eatwithana. Bookmark the permalink.